So you have decided that you and your family would benefit by adding a garage to your home, but don’t know where to start. The Denver garage door experts at Colorado Overhead Door Co. can help you start the process of selecting the perfect garage for your needs. When you start the process of selecting the perfect garage door for your home, take the time to write down exactly what it is that you hope to get out of your new addition. How many cars do you intend to store inside, and do you have certain hobbies that will require additional space? Colorado residents are known for their love of outdoor sports, and a Denver garage owner might request extra space for a quad or snowmobiles. Are you looking to connect your garage to your home, or would you benefit from having a detached garage? These are a few of the questions that Colorado Overhead Door Co. has helped Denver garage shoppers answer in their blog section. Another big question that all garage shoppers must answer regarding the selection of materials. Which door are you gonna go with? Wooden garage doors can help tie together the overall look of a colonial home, while lighter metal doors might meet the needs of someone looking for a more modern look. 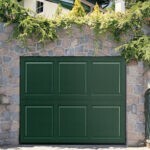 Both styles of doors require their own kinds of maintenance, and the Denver garage repair team at Colorado Overhead Door Co. can help you prepare for any problems that might arise down the road. Garages provide the perfect work space for the creative minded person in your family. Your garage can provide space for a carpentry shop, auto repair center and a garden center. Plan ahead to be sure that you have the space required to meet your needs. This will also require you to think about a few other options, such as which flooring and materials you will need. Should you be looking to work on motors and vehicle, installing an epoxy floor might be the best option, given how easy it is to clean. Should you decide to add windows? Many dislike the look of windows on their garage doors while planning, but they later regret the decision to go without them. Garage door windows come in many styles, so be sure to have a look at the options on offer to decide which might best match the style of your home. 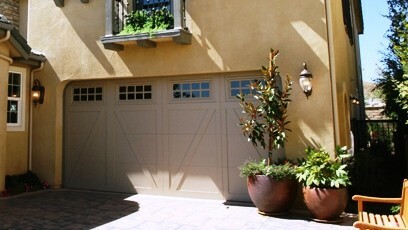 Contact Colorado Overhead Door Company today to get your Denver garage installation under way. 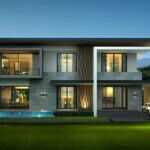 Their experience and expertise help to ensure that you will end up with the finished product that you desire. We hope this New Year is filled with amazing projects!